SGX is a vertically integrated business where it offers listing, trading, clearing, settlement, and depository of securities and bonds. Today, a total of 40% and 75% of its listed companies and bonds are currently originated from outside of Singapore. In 2017, this segment has made S$ 404.5 million in revenues, contributing as much as 50% of its total revenues in the last financial year. SGX offers a full suite of derivative products across indices of equity markets across Asia, commodities, and currencies. It is presently the second source of income to SGX. 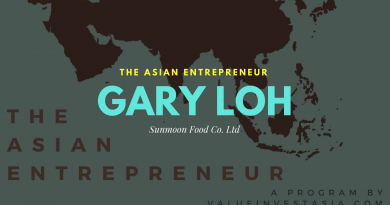 In 2017, this segment has generated S$ 303.1 million in revenues, accounting for 38% of its total revenues. 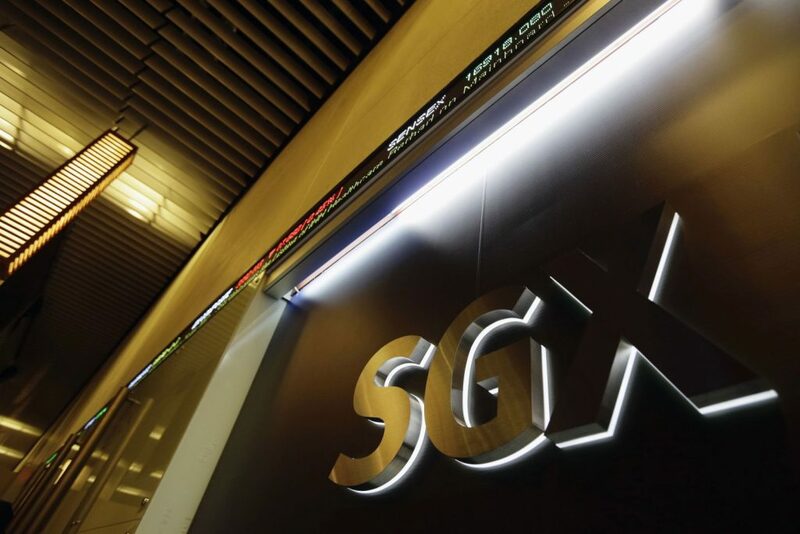 This is the final and the smallest segment of SGX. In 2017, it brought in S$ 93.2 million in revenues and thus, accounting for the remaining 12% of total revenues to SGX. 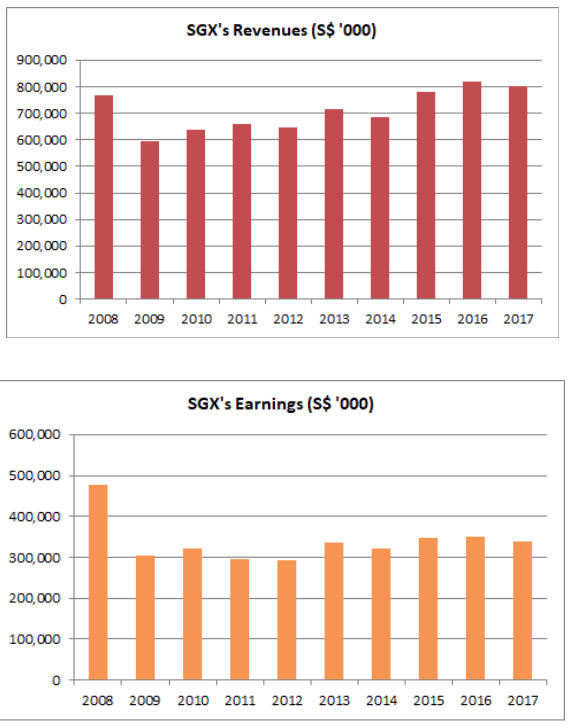 In 2009, SGX has reported a sharp decline in both revenue and earnings due to the global financial crisis in that period. Since then, SGX has reported continuous growth in revenue, up from S$ 595 million in 2009 to S$ 801 million in 2017. This growth was directly attributed to higher revenue achieved from its derivatives segment in the 9-Year period. However, SGX has also reported a slight increment cost-to-income ratio and thus, resulting in lower profit margins during the period. It has slowed down its growth in profits. Overall, shareholders’ earnings have grown from S$ 306 million in 2009 to S$ 340 million in 2017. 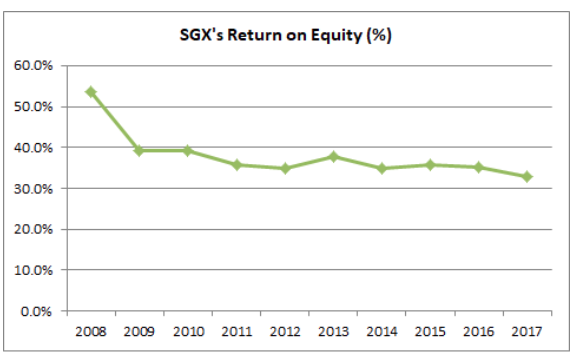 SGX has achieved a 9-Year Return on Equity (ROE) average of 36.50% a year. It means, SGX has made, on average, S$ 36.50 in shareholders’ earnings from every S$ 100.00 in shareholders’ equity from 2009 to 2017. S$ 549.1 million in capital expenditures. S$ 175.6 million in buying of subsidiaries, associate & JV companies. 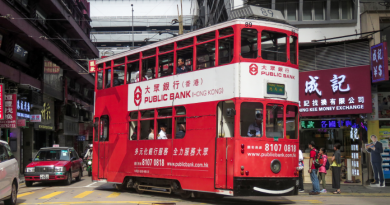 S$ 3.22 billion in dividend payments to shareholders. As at 31 March 2018, SGX has reported to have no long-term borrowings and thus, have zero in gearing ratio. SGX has cash balance of S$ 521.6 million and a current ratio of 1.46. Suffice to say, SGX’s balance sheet is relatively healthy at this point of writing. As I write, SGX is trading at S$ 7.33 a share. 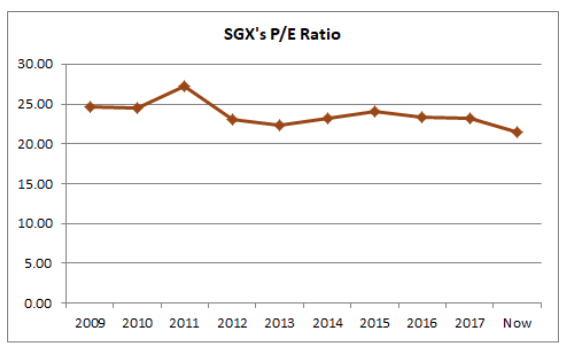 Thus, SGX’s current P/E Ratio is 21.50, lower than its 9-Year average of 23.96. 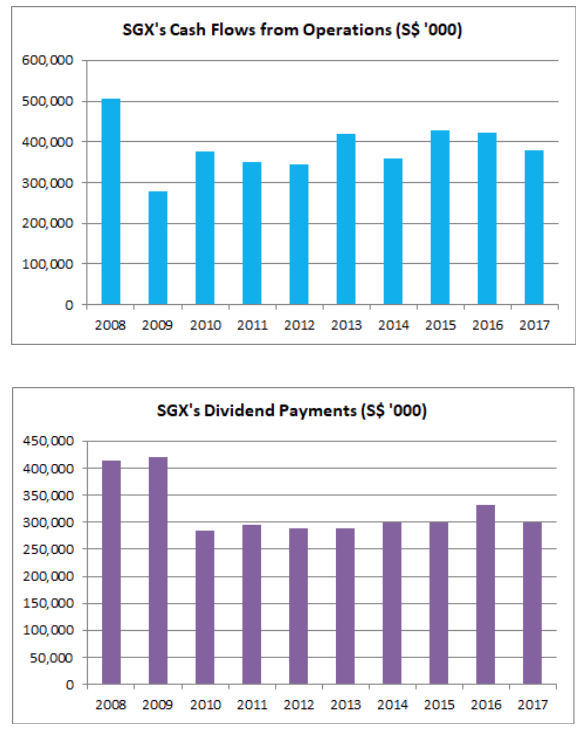 SGX has paid out 28.0 cents of dividends per share (DPS) from 2013 to 2017. 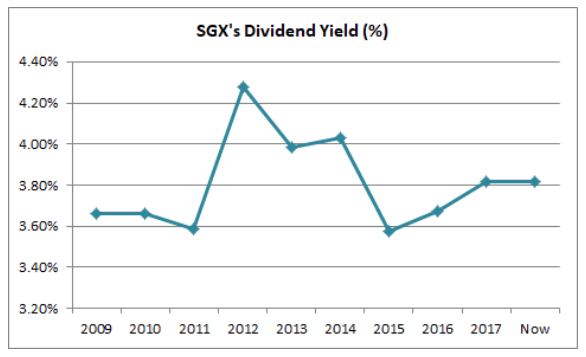 At S$ 7.33 a share, its current dividend yields is 3.82%, which is similar to its 9-Year Average of 3.81%. SGX delivered stable profits and dividend payouts to its shareholders for the last 9 years. Its stock price has mimicked its financial results achieved during the period. 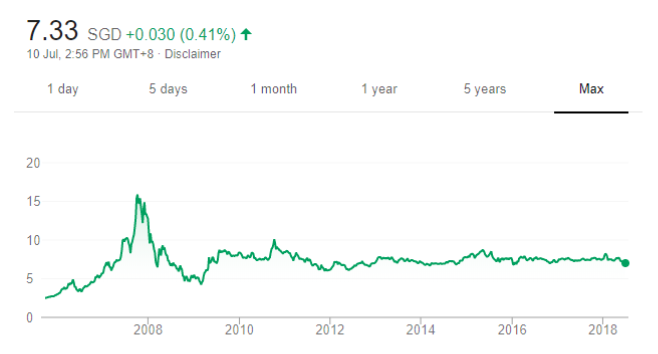 It crashed in 2008, climbed to S$ 7.00 – 8.00 levels and has stayed there ever since. As such, flat profits resulted in flat growth in its stock price. 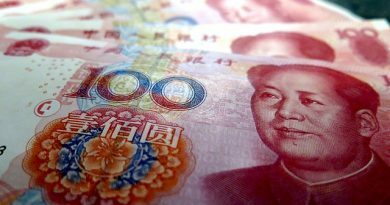 Good Reputation among International Investors. Stable Revenues & Profits since 2009. Zero Gearing Ratio. Cash Balance = S$ 521.6 million. High & Stable Dividend Payout Ratio. P/E Ratio = 21.50, lower than 9-Year Average of 23.96.
Dividend Yields = 3.82%. Paid on a quarterly basis. Lacks Plans to Expand and Grow in the Future. Lower Revenues from Equities & Fixed Income Segment, which had offset growth from its derivative segment. Slow Economic Growth in Singapore.